A personal theory that our constantly moving and spinning universe is a depiction of a living Creator has found support in a discovery in Australia at the International Centre for Radio Astronomy Research. Astronomers at Curtin University and the University of Western Australia say they have discovered that all galaxies rotate like clocks, making complete turns every billion years. This happens no matter how large or how dense the galaxy measures, Professor Gerhardt Meurer told writers for Phys.Org. "It's not Swiss watch precision," Meurer said, "But regardless of whether a galaxy is very big or very small, if you could sit on the extreme edge of its disk as it spins, it would take you about a billion years to go all the way round." That kind of precision also is found in the Earth, which spins on its axis once every 24 hours, and in our Solar System which completes its axis every 12 months. Part of the mystery in all of this is that not all galaxies, solar systems or clusters are moving clockwise. Some of them are spinning in the opposite direction. But everything is moving. This constant display of energy, and with this kind of detailed precision, supports a belief by many that the Living God exists in all things and that we, as living creatures on Earth, are but a minute particle of this amazing energy. A paper recently published in Nautilus, Vazza, an astrophysicist at Radio Astronomy Institute, Bologna, and Feletti, a neuroscientist at NOCSAE Hospital, Universitaria di Modena, have pointed out a “strange similarity” between the shape and movements of both Neurons and Galaxies. Over the years we have drawn our data from more simplified observations, and reached the same conclusion. 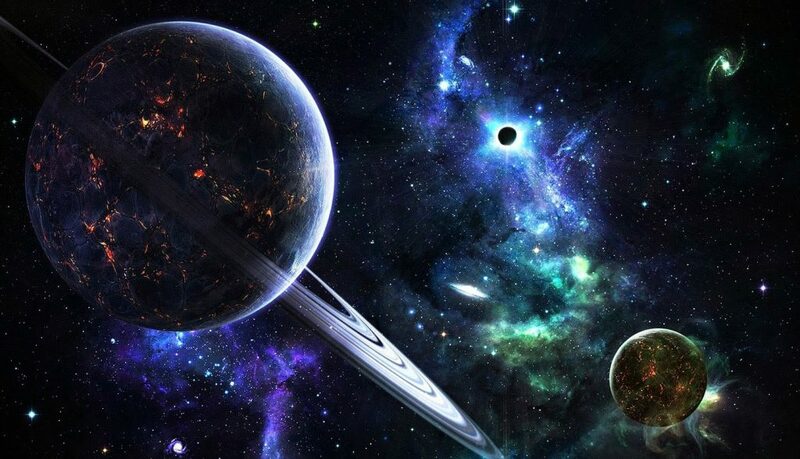 Just by using high powered microscopes to study the tiny atom, with a nucleus in the center and neutrons and protons constantly circling, we noticed the similarity to the appearance of our solar system, with planets and moons circling a hot sun in the center. We find that all atomic structures of everything on our planet . . . even in the stones . . . look much the same. And everything everywhere is in constant motion. We see this motion not only in our solar system, but in the galaxy we share, and billions and billions of galaxies that we observe with our high powered telescopes beyond that. Nothing is stagnant. We then are compelled to ask: where does all of this power come from? How can all things, down to the complex makeup of the human brain and the amazing networks of the galaxies, follow the same pattern? Can anyone dare to suggest this happens by accident? Theologians might brush off these revelations with the thread-worn argument that all of this proves the work of an almighty Creator, which on the surface seems somewhat valid. But what if it also suggests that the God we seek shows Himself in the vast energy of the universe; that we are but tiny specks struggling to understand our role in the magnificent pattern that surrounds us. Because of this new understanding we find it questionable that such a power listens to personal prayers or bothers itself with the minute affairs of the beings on this planet. The workings of this amazing Universe appear to continue unchecked with or without our existence. The great mystery, however, is the human soul. This seems to be a spark within us that makes us unique and may even connect us to the mind of the Creator. And that is a riddle that may remain unsolved until the day we die. There is no assurance that we will discover its secrets even then. The best we can do at this point is enjoy the ride, do the best we can to care for the world we have been given, and look forward to whatever lies ahead after it’s over.